Talk about a superstar line-up – follow legendary comics, Eddie Griffin, Cedric the Entertainer, D.L. 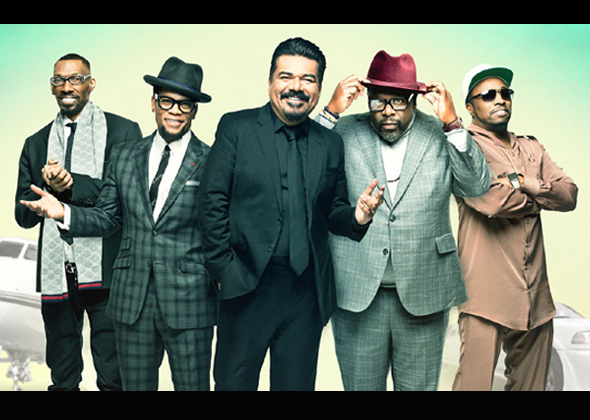 Hughley, George Lopez and the late Charlie Murphy and their shenanigans during theComedy Get Down stand-up tour in this scripted series. Experience the craziness that goes down both on and off stage – it’s a hoot! The Comedy Get Down shows what really happens behind the scenes of a massive stand-up tour featuring five legendary comics – George Lopez, DL Hughley, Cedric the Entertainer, Eddie Griffin and the late Charlie Murphy. They’re hilarious, insane and unapologetic on stage, but the second they step off stage is when the real show begins. The storylines are based on actual events that have taken place not only on their wildly successful Comedy Get Down arena tour, but throughout their 25 years, with each of them having been national headlining comedians. A workplace comedy at its core, the 30-minute, single-camera series explores the personal and professional relationships of these five comic titans as they navigate the challenges of life on the road: seedy venues, racist road managers, pushy wives, angry baby mamas, obsessive fans, demanding celebrities, shady politicians and more.